POST SHOW UPDATE: My final score; 7-5. No contest-winning tally, this time. I was 6-0 until the screenwriting categories, but tanked big there (in my own field). Once “Argo” won best screenplay over “Lincoln,” the ‘writing’ was on the wall that the Academy preferred a movie where Hollywood saves the day instead of a long dead President. So what are my qualifications to make predictions? 1) I’ve been on the red carpet. Sure, I was just place-holding a prime spot for a cameraman buddy on the crew of Entertainment Tonight, but I’ve been to the big parade. I’ve also had opportunities to attend the ceremonies, but I made a silly vow I would never go inside except as a screenwriting nominee. I realize that vow sounds presumptuous and far-fetched, but two of my screenplays had Academy Award-winning directors attached at times, and I’ve also adapted best-selling books for studios. It was a goal, but one that’s no longer on the radar. Still, the screenwriter who won for “The King’s Speech” a couple years ago was 73. There’s still time. 2) I was hired to write two screenplays with Bruce Vilanch, who’s been the main backstage go-to joke writer for Oscar hosts for the past few decades. He also has the first-hand, inside gossip on every major star in Hollywood and what extremes they’ll go to compete or get ahead. My second-hand knowledge of that gossip is now pretty stale, but the basic types ultimately never change; just the names and the hairstyles and how much they pay their publicists and lawyers. 3) A few years ago I correctly predicted 20 out of the top 20 categories in an online contest for an Internet start-up company and won $25,000 (and paid off my PMI insurance and saved 10 years of mortgage payments). I’d like to thank the Academy… for being so predictable. 4) I used performance-enhancing drugs for 10 years and ruthlessly bullied, sued, and intimidated any competition that got in my way. Oh, wait, that wasn’t me; that was Lance Armstrong. The Golden Globes surprised everyone and gave Best Drama to “Argo,” but that organization consists of 90 drunken Frenchmen and Italians whose bladders would never have made it through “Lincoln” or “Zero Dark Thirty.” They love a good popcorn ride and big stars who will actually schmooze with them. Academy voters take themselves MUCH more seriously. And the closest thing to an overly-serious holocaust picture this year is “Lincoln” (a president who ended America’s own particular brand of holocaust). Besides, they have to make up for the king of Hollywood, Steven Spielberg, being completely snubbed by those weak-bladdered foreigners. Nothing risky about this prediction, but remember that, when it comes to best actor, it’s always the ROLE that determines the winner, not the actual performance. The best role wins. Now many of the roles that win actually DO seem to feature some mentally or physically-challenged character, real or historical. Bradley Cooper plays a bi-polar character in “Silver Linings Playbook,” but don’t forget Lincoln was also famously manic-depressive. John Hawkes should have been nominated for his horizontal (with one part vertical) performance as a quadriplegic trying to end his virginity in “The Sessions,” but I guess voters were too distracted by Helen Hunt getting naked. Day-Lewis previously won as a victim of cerebral palsy in “My Left Foot” (top photo). 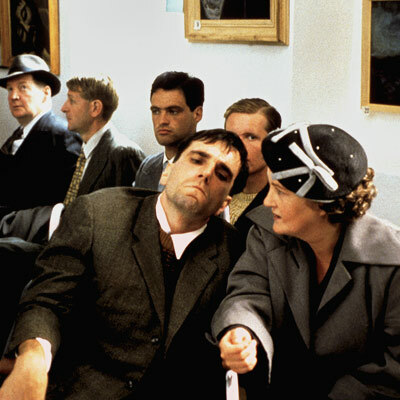 He’s a method actor who reportedly remained in a wheelchair on and off the set throughout the production. During the filming of “Lincoln,” he reportedly lived at the White House, but was frequently puzzled at the sight of an emancipated slave with big ears and a wide grin wandering around like he owned the place. It was a smart move to tie all the disparate pieces of “Zero Dark Thirty” – which often feel more like a never-ending documentary – together with the composite character of a woman CIA analyst who can also express the emotional ups and downs of the decade-long process to track down Bin Laden. Chastain is the go-to actress in Hollywood right now, who drew big attention in “The Help” and now gets to collect after her more obscure 10 years in the trenches. Second-runner up Jennifer Lawrence is the younger go-to actress in Hollywood, who will get her own Oscar soon enough. It seems best actors have to visibly suffer on screen, while best actresses just have to keep doing good work and stick around long enough. Tommy Lee Jones may have scowled his way out of contention for this category after his performance during the Golden Globes ceremony. There was nothing likeable about any of the characters, including Philip Seymour Hoffman in “The Master.” Alan Arkin was great comic relief in “Argo,” but that’s not enough. Critics loved to see Robert De Niro finally make an effort to act again in “Silver Linings Playbook.” But Christopher… Waltzed away with the picture in “Django Unchained.” It would have been relentlessly brutal and insufferable without him. 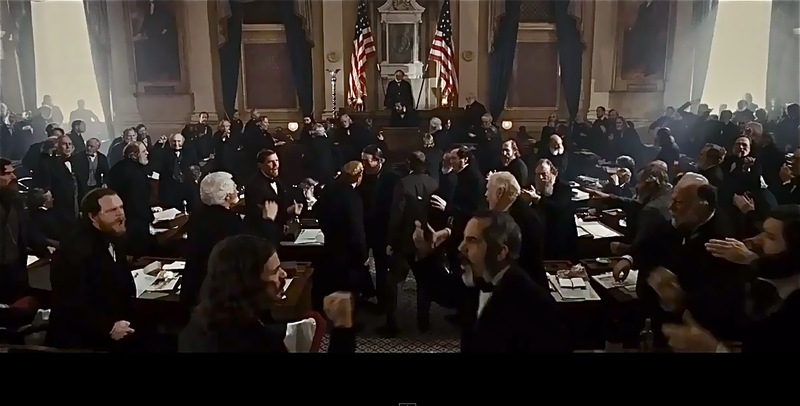 The Academy may decide it was enough to appease Spielberg by giving “Lincoln” Best Picture. In that case, I think David O. Russell sneaks in for “Silver Linings Playbook,” which he would deserve, if you consider that every actor in every category within that film was also nominated. Performances like these don’t spring up spontaneously. Which do you think is harder; getting an Academy-Award winning performance from Daniel Day-Lewis, or one from Bradley Cooper? Still, the safe bet has to be Spielberg for his grand, decade-long passion project. And I’d give the award to him just for the considerable restraint he demonstrated by not using his patented, emotionally-manipulative push-in shot to the close-up look of awe he has used in almost every film in his career. 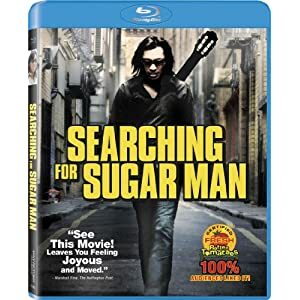 Stop searching and FIND this movie on blu-ray or Netflix now and enjoy. It might be the best musical comeback story you will ever experience. Here’s a movie that makes you feel great about what can happen in America, even though it took South Africa to get it started. All you need is love, even if you’re 80 years old, French, and completely outside the ticket-buying demographic Hollywood exclusively panders to. Maybe this will start a revolution in films that will bring grown-ups and aging Boomers back to the theaters. One can only dream. Oui oui. Not so much on this pick. This is a very tough category because I don’t know if anything actually real was every filmed in ANY of these pictures besides the actors. So I’m saying this movie will win in the new category, Best CGI Cinematography. This will be somewhat of a consolation prize for ZDT losing in all the other categories, including Best Picture and Best Director for Kathryn Bigelow. But the Academy could pull a Golden Globes safe move and go for “Argo” because of all the controversy over whether the black site scenes validate the use of torture. That would be a stupid reason, because those scenes do no such thing. They just show, factually, that torture was used. And getting citizens to argue over whether that’s something America ever wants to ever have a reputation for again is certainly worth a gold statue of a naked man minus his genitalia. Kushner had to somehow build an inspiring movie out of a President trying to gather enough votes to ACTUALLY DO SOMETHING from an obstructionist, bigoted and obstinate Congress. Now THAT’S how you make a 160 year-old story relevant. So, how’d I do? I guess we’ll find out whenever the awards are because I haven’t followed any information beyond the nominees. If you want to take these picks to Vegas, be my guest, but betting hard money is a lot different than just making picks to win a contest. The only sure bet is that we’ll forget who most of the winners were by the time next year’s nominees come along. You are currently browsing the Hollywoodaholic blog archives for January, 2013.